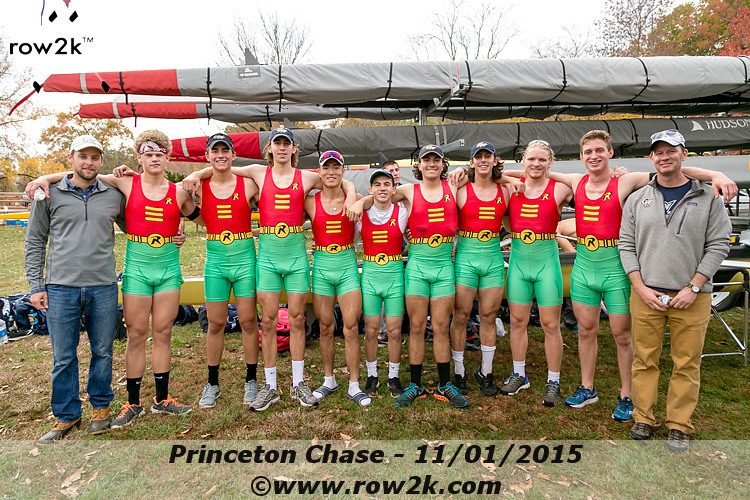 GW Crew turned a lot of heads at Princeton Chase 2015, with its boat speed and its memorable tribute to their teammate Nick Upton. Leading with their hearts with their tribute, our men’s freshman 8+ finished an impressive 4th place behind California, Princeton and Cornell while besting Dartmouth, Harvard Lightweights, Princeton Lightweights, Syracuse, Navy…and Georgetown. GW Men’s Rowing once again found itself in familiar territory, with close competition against Syracuse as Syracuse Orange edged our V8 by less than 2 seconds over the three mile course. Silver linings were had, however, as GW’s A and B boats both bested Georgetown’s A boat – with our B boat coming in one place and four seconds ahead of the Hoyas. Our men also had two boats in the 4+ event, with the “A” four trailing the winners by 1% and finishing with an admirable 4th place overall. GW Women’s Rowing faced a deep field of 65 boats in the varsity eight event, with our A and B boat entries both finishing in the middle of the pack. Also rowing a boat in the 4+ event, GW Women offered a shining spot with a greater than 15 second lead over the Georgetown women’s four. Huge props from the GW Crew community go to Mikey Tapscott for this creative and finely-produced music video, featuring the 2014 GW Men’s Rowing team on the Potomac River and taking their reps in the weight room. Incredibly, for a third summer in a row, U23 National Team Rowing includes GW Rowing’s Jordan Tewksbury-Volpe. He will be competing at the U23 World Championships. This is a fantastic accomplishment! Every member of the GW Crew community should appreciate, applaud and enjoy Jordan’s success. Jordan grew up in Naples, Italy where he had the fortune to row under the guidance of one of the best coaches in Italy, Antonio Colamonici. 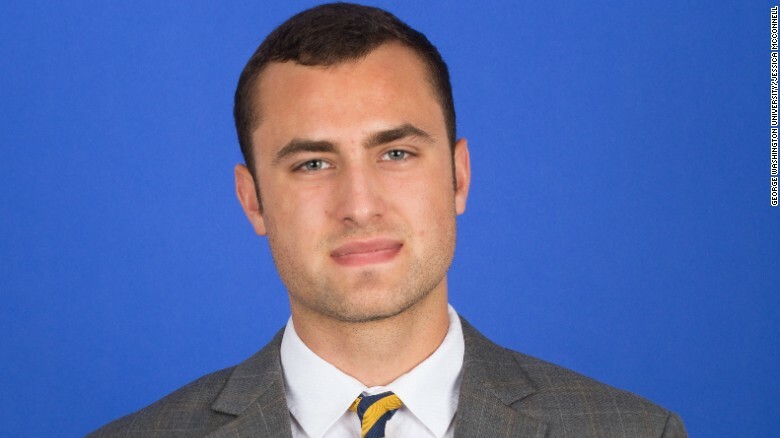 Jordan came to the United States in 2012 to study and continue his rowing at The George Washington University. Since that time, Volpe has been a staple of the first Varsity crew at GW. There is an extra level of exciting competition for this pair. Zander and the stroke of Great Britain’s crew, Tommy Marshall, have rowed together in the Harvard Lightweight Varsity for the past two years. Talk about a hunt for bragging rights! More about each oarsman’s background, their racing and training can be read in their written piece, found here. Great videos of Jordan training and racing can be seen below. Jordan’s event in the 2015 Trials video starts at 1:57. GW Men made another solid appearance at the IRA Regatta 2015, with our Varsity 8 finishing 22nd, Second Varsity 8 finishing 15th, and our Third Varsity 8 finishing 16th overall. One apparent benchmark for next season will be how we fare against Syracuse University who had a boat in each of our final races. 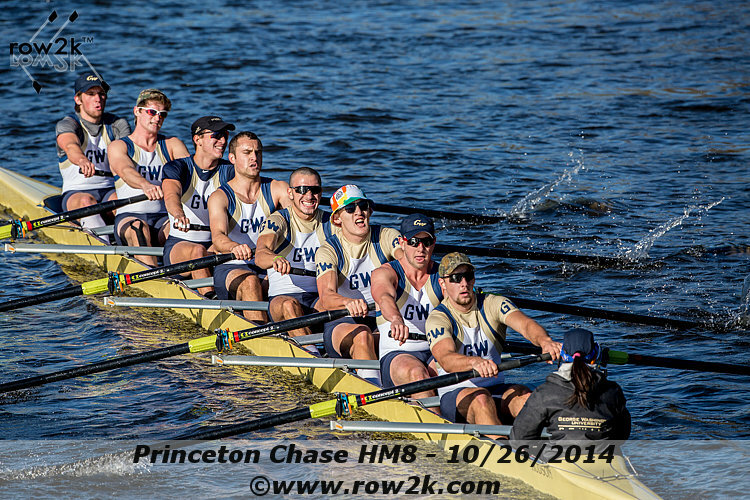 In GW Men’s final tune-up before the 2014 Eastern Sprints, crews faced tough crews from US Naval Academy and Columbia. The tough competition was welcomed but edged our crews out in the Varsity and JV events. GW Freshman Men raised high the old Blue and Buff with a victory in their event. Read complete GW Hatchet article. The progression from having a single top-performing crew to regularly expecting high performance at Nationals has been a steady one for GW Crew. That progression continues as GW Crew joins Eastern Sprint schools. Read the May 2010 GW Hatchet article here. Jordan Volpe ’16 represents the United States at U23s in the Lightweight Men’s pair. Finishing strongly ahead of 2nd place Purdue and 3rd place Kansas State, GW Women won the SIRA Regatta 2013 Championship Varsity 8 event with a time of 6:34.7. Read complete results and times. GW men’s rowing team won a gold medal in the Freshman 8 Grand Final for the second year in a row at the Southern Intercollegiate Rowing Association (SIRA) Championships in Oak Ridge, Tennessee. GW’s Varsity 8 finished in third-place in the Grand Final. The Colonials won both their heat and semifinal races on Saturday but could not complete the sweep on Sunday. Florida Tech won the event in 5:47.60, followed by Virginia (5:49.50), GW (5:54.20), Temple (5:59.40), Jacksonville (6:01.40) and North Carolina (6:01.70). The JV8 was offered a silver lining to their regatta performances as they won the B Final after failing to qualify for the Grand Finals. More on the racing can be read here. View complete results and times.